Jerry Pasewicz began his career making his first violin and bow in 1978. After spending time in violin making school, working in violin shops and owning his own shop, he was hired to direct the workshop at Shar Products in 1988. At Shar he worked alongside multiple award-winning violinmaker and former Weisshaar foreman David Burgess, gaining crucial experience in the restoration of violin and bows. In 1992, armed with this experience, he was hired as an instrument restorer at the famed Jacques Français Rare Violins in New York, under the direction of renowned restorer René Morel. In the Français workshop Mr. Pasewicz not only had the opportunity to work on the finest instruments and bows in existence, but also to work for some of the world’s finest musicians. He continued working under the direction of Maestro Morel for two and a half years, and continued doing work for Jacques Français until leaving Manhattan in 1998. During his time in New York, Jerry Pasewicz also had the honor of serving a bow making apprenticeship with multiple gold medal-winning maker David Samuels. Mr. Pasewicz has been a participant in the Oberlin workshops since 1997. He has been a director and instructor in the bow making and restoration workshop at Oberlin since 2000, and has been on the faculty of the instrument set up workshop from 2004-2006. Mr. Pasewicz has been a presenter and lecturer at The Violin Society of America conventions, has served as Vice President of the VSA from 2008-2014, and served as chairman of the VSA International Violin and Bow Makers Competition from 2006-2014. 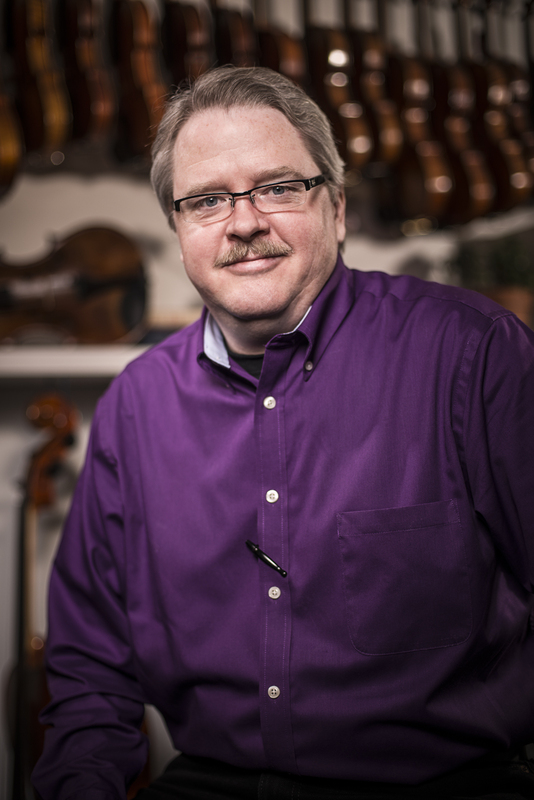 Mr. Pasewicz has been a member of the The American Federation of Violin and Bow Makers since 1997, served on the Board of Governors from 2007- 2016, as Vice President 2009-2010, and as President of this organization from 2011- 2012. Mr. Pasewicz Is a full member of the Entente Internationale des Luthiers et Archetiers (International Association of Violin and Bow Makers).